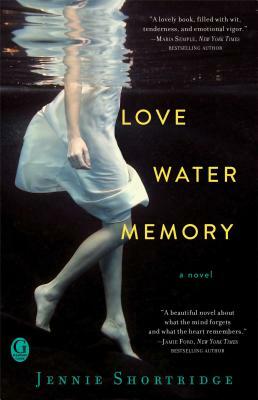 Inspired by a true story, this bittersweet novel about a woman with a rare form of amnesia explores the raw, tender complexities of relationships and personal identity. Library Journal calls it "an emotional heart-tugger that doesn't go where readers might expect; a fascinating turnabout..."
If you could do it all over again, would you still choose him? At age thirty-nine, Lucie Walker has no choice but to start her life over when she comes to, up to her knees in the chilly San Francisco Bay, with no idea how she got there or who she is. Her memory loss is caused by an emotional trauma she knows nothing about, and only when handsome, quiet Grady Goodall arrives at the hospital does she learn she has a home, a career, and a wedding just two months away. What went wrong? Grady seems to care for her, but Lucie is no more sure of him than she is of anything. As she collects the clues of her past self, she unlocks the mystery of what happened to her. The painful secrets she uncovers could hold the key to her future--if she trusts her heart enough to guide her.